PGA qualified in 1980 at Lilleshall hall. AAT classification and qualified PGA referee. Colin joined Leyland Golf Club as club professional in August 1986. 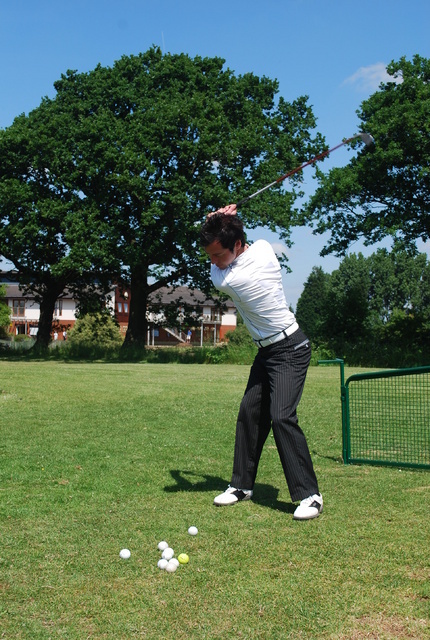 With over 30 years of teaching experience Colin is available to give lessons individually or with a group. He specializes in junior coaching within the Passport to Golf scheme. Former students include PGA professionals and a member of the Ladies European Tour. He is currently working with some talented youngsters at Leyland Golf Club. Danny has been at the club now for a total of 10 years, 2½ of which were spent as an amateur. In this time Danny achieved the status of Club Champion which is a prestigious title within the club and reduced his handicap to allow him to join the new improved PGA National Diploma Scheme. During the 4 years of advanced training Danny achieved a high standard of results inn his exams and graduated in October 2005 with an overall pass mark of Merit. Although continuing playing Danny's focus turned to the coaching side of the sport and all the aspects that are now used in modern day coaching. Danny's simple but effective methods have been used to assist all standards of golfers from complete novice to advanced team players. The professional services include the use of video technology that can highlight specific faults and assist in setting long and short term goals.